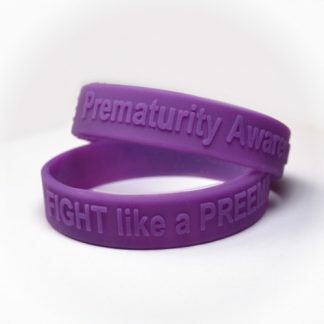 Help raise awareness about premature birth or show your support and love for a baby who is currently fighting the prematurity battle with a Purple PREMATURITY AWARENESS wristband! 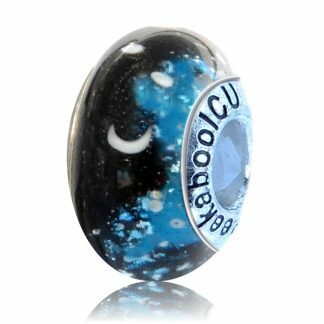 100% of the proceeds from the sale of these bands will go back into our program to sponsor parents and babies currently on the NICU journey. -Every year 15 million babies are born too soon. Some too small and too sick to survive. -One baby every 30 seconds will die from premature birth. -As many as 11.5 percent of all pregnancies or about 450,000 babies in the United States alone, end in early deliveries. -Today more than 1400 babies will be born prematurely. 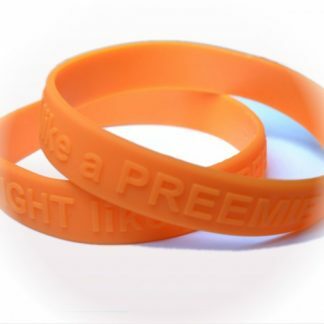 -80 plus percent of preterm births are unanticipated. -15–20% are attributed to medically indicated (example: preeclampsia, abruption, IUGR) or elective preterm deliveries. We choose to fight because they fight every day and don’t have that choice. We fight because every baby deserves at least 39 weeks. We fight because all babies are entitled to a healthy start. We fight because no one should have to start parenthood drenched in fear, worry, and terror. We fight because no parent should have to question or make the decision on whether support should be held or stopped. We fight because premature babies face life-threatening conditions that NO baby should have to face. They fight every day…just to breathe. We fight because we believe in the power of coming together to spread awareness. Knowledge is power and together we CAN change the statistic. We want to give hope to every baby and every family and inspire those going through the battle right now to believe in miracles…because they happen. We fight because they can’t. We fight because babies shouldn’t have to.